The Hyundai i10 has picked up the impressive accolade of being named Best City Car in this year's Fleet World Honours. Picking up the title for a second consecutive year, the i10 was praised for its practicality, generous equipment allowance and low running costs, with the model making short work of its rivals in this competitive category. A popular stalwart of many corporate fleets up and down the country, the i10 was also praised for the variety of options that are open to buyers in terms of specification – with seven trim options available and a range of powertrains, the most sustainable of which boasts low emissions of just 98g/km of CO2 and combined fuel economy of 65.7 mpg. 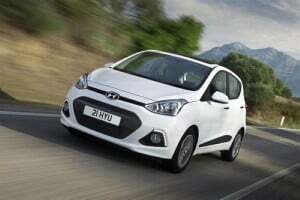 Guy Pigounakis, fleet director at Hyundai Motor UK, commented: "We are immensely proud that the Hyundai i10 continues to impress the fleet industry judges, winning the city car category for the second time. "Our designers and engineers created a stylish, comfortable and economical city car, which uniquely combines the agility of a small car with the features from the segment above." Alex Grant, deputy editor at Fleet World Group, added that the i10 exceeded all expectations in each area of assessment and remains the car to beat for fleet operators in the urban setting. The manufacturer also continues to offer its five-year warranty on all i10 purchases, providing welcome peace of mind to fleet managers and business leaders alike when taking on this award-winning model.